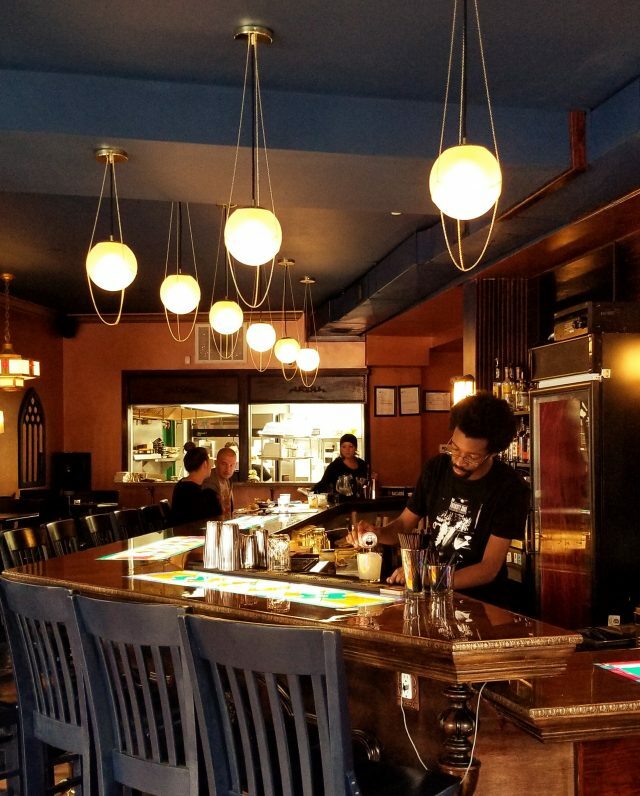 New Watering Hole on West Passyunk Offers All-day Brunch, Clever Cocktails, and Live Music. “We’re all about comfort and spirits. 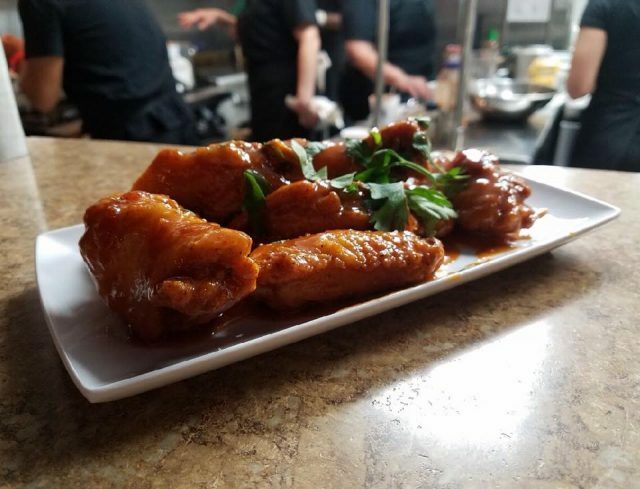 The comfort and spirits that we serve, and the comfort and spirits of those we serve,” says Timothy Lidiak about The Thirsty Soul, open since August at 1551 West Passyunk Avenue (northeast corner of West Passyunk Avenue and 16th Street) in Newbold. The church-themed restaurant is a joint-venture of Lidiak and fellow owners Billy Hines, and Adrienne Markey-Salvatore. Hines serves as general manager. Executive chef Barbara Romeo, previously at West Passyunk’s now-closed Grubhouse, has crafted a comfort food-filled, New Orleans-meets-South Philly all-day brunch menu. The fun, church-themed decor includes pew seating, a stained glass bar top, low lighting, and candles. 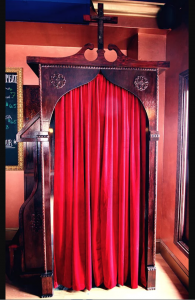 A red-curtained confessional booth, located to the right of the main entrance, allows passage from the main dining area to a speakeasy-like space fittingly called the Red Room. This room features comfortable chairs, low lighting, a fireplace, and tables. Live music performances take place here. The outdoor seating area, installed this past week along West Passyunk Avenue , will feature large sidewalk planters and landscaping when complete. Lidiak says it’s the restaurant’s “Garden of Eatin’” theme. Red Room – live music lounge. Photo courtesy Thirsty Soul. Stained glass bar top. Photo courtesy Darren Fava. The Thirsty Soul’s menu features Southern- and New Orleans-inspired brunch items served fourteen hours per day (11 am – 1 am), seven days a week. Appetizers include fried green tomatoes, catfish beignets, bacon jam-topped deviled eggs, and hot strawberry wings. Hot strawberry wings. Photo courtesy Thirsty Soul. Sandwich offerings include a “smashed burger” and a selection of “yo’ boys” with choices ranging from fried shrimp, catfish, and BBQ pork, to vegan-friendly green tomatoes or cauliflower. BBQ Pork Yo’Boy. Photo courtesy Mark Ferrante. Heartier plates like jambalaya mac and cheese, BBQ shrimp and grits, chicken and waffles with sausage gravy, and Eggs Benedict with BBQ pork fill out the menu – and will more than fill you up. Jambalaya Mac & Cheese. Photo courtesy Darren Fava. 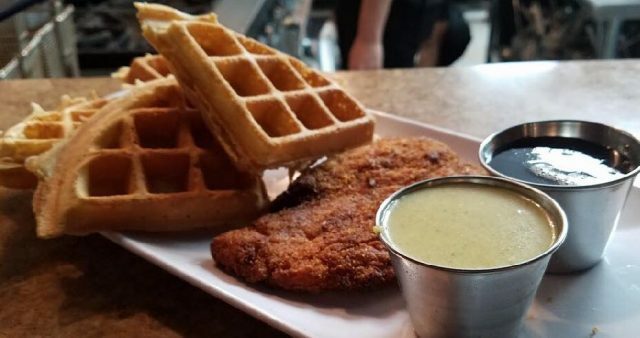 Fried chicken & waffles. Photo courtesy Meghan Walter. 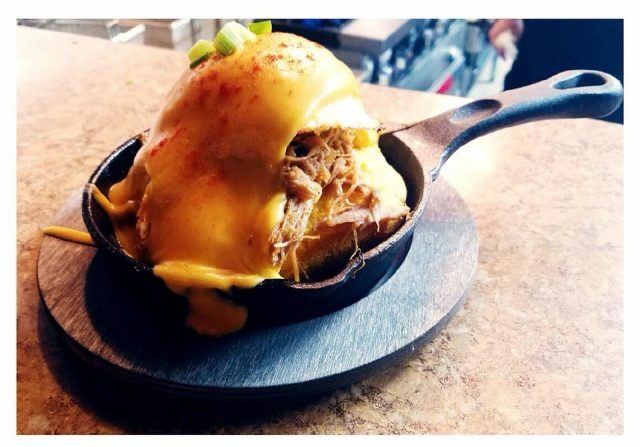 Cornbread, BBQ pulled pork, Eggs Benedict. Photo courtesy Thirsty Soul. The drink menu offers unique craft cocktails. There’s a refreshing take on the Singapore Sling and a maple-infused bourbon “Saint.” Need a pick-me-up? Try the Perk-A-Tory, featuring La Colombe coffee and coconut water spiked with spiced rum. Brunch n’ punch! Photo courtesy Thirsty Soul. Are your dining companions are up for a common cup? 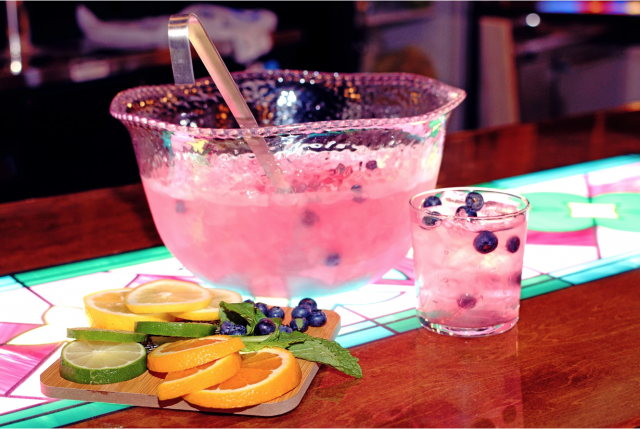 Then invite them to experience a Jezebel punchbowl for the table – a vodka is infused with blueberry and basil. Craft beers on tap, dozens of can beer selections, and canned wine round-out the options. Bar interior. Photo courtesy Darren Fava. 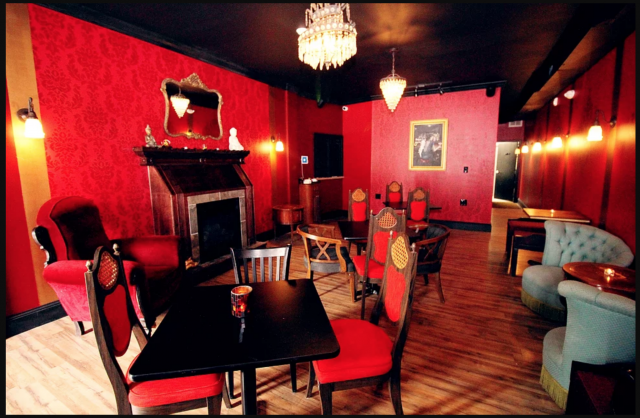 In addition to hosting live music, the Red Room will be available for special events and private gatherings. There’s also talk of a Gatsby-themed event to ring in the New Year. Thirsty Soul is open 11 am – 2 am. Food served until 1 am. For more information, visit www.thethirstysoulphilly.com. Ray’s Happy Birthday Bar Turns 80! Great location, great food, novel theme and decor and great people!